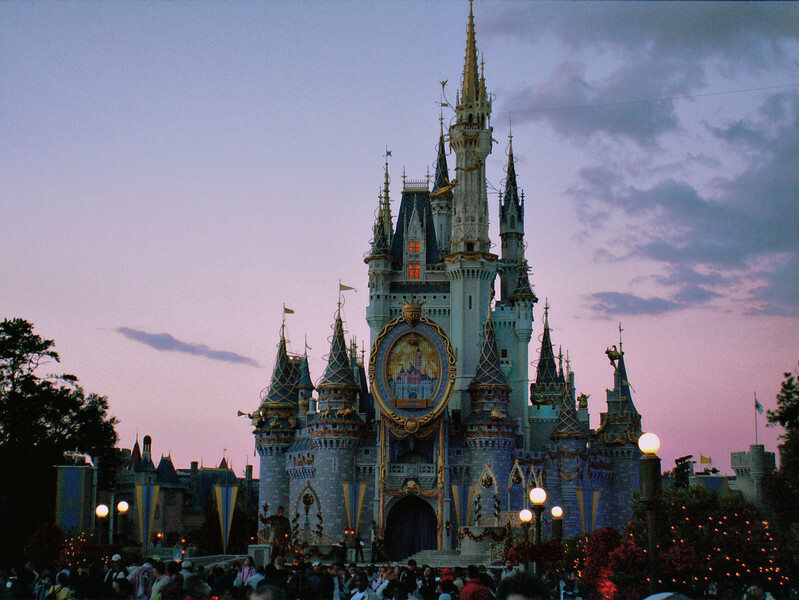 This is the Disneyworld Castle in Florida. This is a compiled photo of two pictures using HDR technology. One photo was adjusted for the proper sky exposure, one for the castle itself. A normal photo taken like this (after sunset and up into the twilight sky) will either show the sky correctly and show the castle in heavy shadow, or show the castle nicely and wash out the sky with overexposure. An HDR program takes more acceptable pixels from each photo and blends them into one image.